Here’s a quick test for you: how many endangered animals can you name? There are the obvious ones, you know like the Bengal Tiger, the Grizzly Bear, oh and the Komodo Dragon of course. Unfortunately, it doesn’t stop there. It’s a very long list and some of these world-renowned animals are so critically endangered that they are likely to become extinct within our lifetimes if nothing is done about it. There, they’ll join the likes of the Dodo and the Sabertooth Tiger as mere myths and legends. It’s pretty harrowing to think about right? Especially when humans are the main cause of their numbers depleting so rapidly. There are even animals that are so rare these days that many researchers, conservationists and nature enthusiasts thought they were already long gone until as if by some miracle they were caught on camera once more. And we have those very pictures to prove it! Take a look at 25 of some of the rarest and most endangered animals on Earth, see how many of these you’ve heard of! These guys prefer a damp forest environment, where their favorite food bamboo grows in abundance. Devastatingly, it’s believed that only around 100 of these lemurs still exist in the depths of the rainforest. Some of the causes of such a depleted population are: slash and burn farming, mining, bamboo and other logging, and slingshot hunting. This unusual bird can mostly be found in Northeastern Russia but resides in Southeast Asia during the winter months. What sets this bird apart is its spatulate bill which makes it easily identifiable to experts. Their numbers are plummeting though, with a population of less than 2,500 left in the wild and only a 1,000 of those being mature. 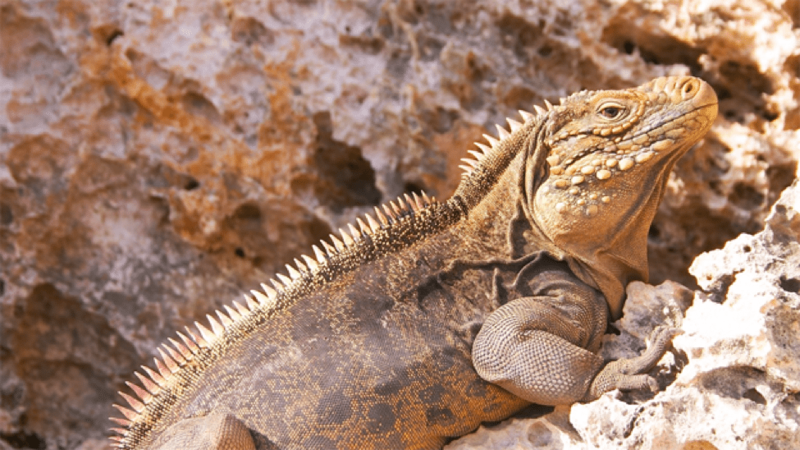 This spiky lizard is the largest native land animal in Jamaica and was once in abundance across the island. It was actually considered extinct between 1948 and 199o until the species resurfaced in the Hellshire Hills where it remains confined to today. Originally, the rarest lizard in the world’s numbers was threatened by the introduction of mongooses for snake control. 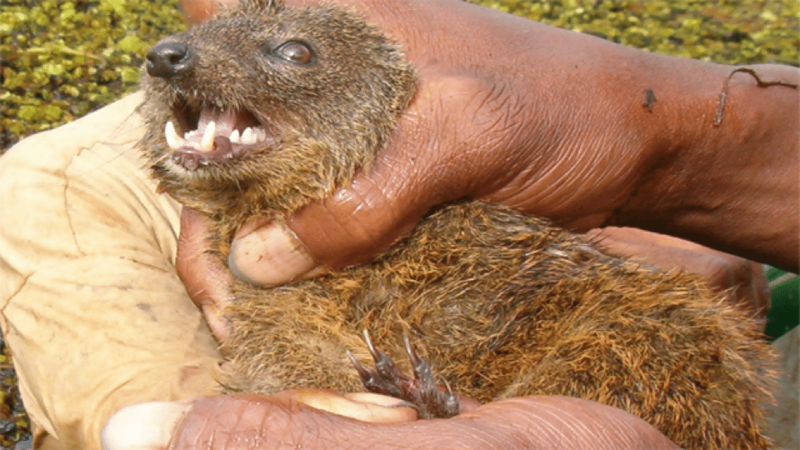 These mongooses would feed on the lizard hatchlings, killing off any further generations. Nowadays the charcoal industry is to blame as charcoal burners rely on hardwood trees from the Hellshire Hills, which are the lizards only source of refuge. 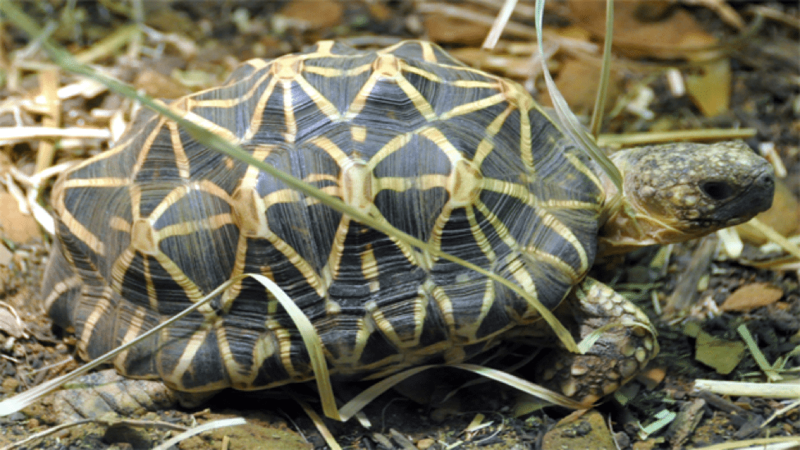 As you can tell from its shell design, the Geometric Tortoise is unique. With a strong black and yellow pattern on the carapace, used mostly for defense against predators. 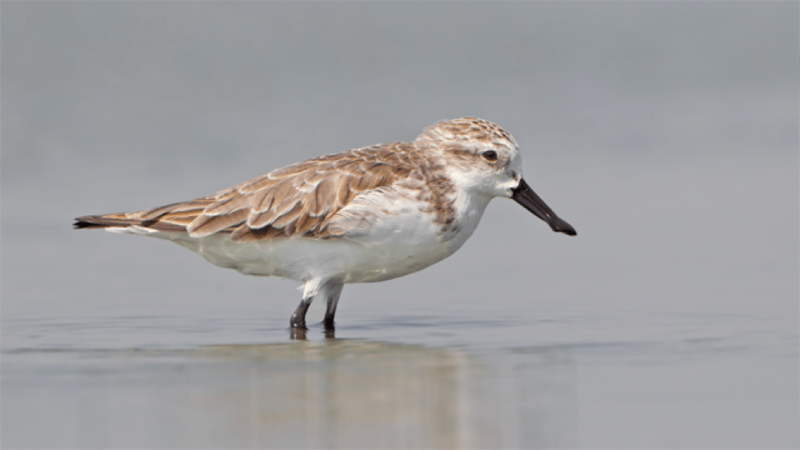 It is a ‘critically endangered‘ species that is now only found within a small section of the South-Western Cape of South Africa. 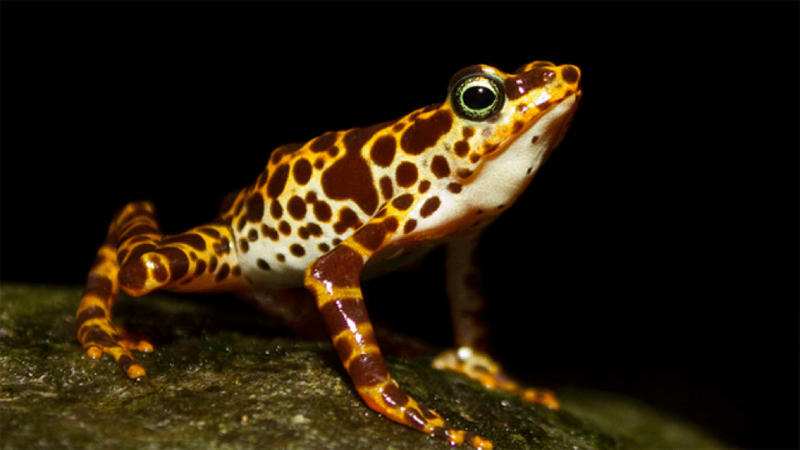 These pretty amphibians can be found in the Andean slopes of Northwest Ecuador. Whilst they’re very common on the Gorgona Island, the species has seriously declined in numbers on the mainland. This could possibly be credited to Chytridiomycosis, an infectious disease that affects amphibians globally. The disease is thought to be the cause of a number of rapid population declines in a variety of species across the planet. This beautiful bird resides in the Araripe Uplands – the Chapada do Araripe – in the Brazilian state of Ceará in the northeastern region of the country. Sadly, it is ‘critically endangered‘. It was officially discovered in 1996 and currently, there are only an estimated 500 pairs left. In 2000 a theme park with swimming pools and asphalted roads was built at the type locality Nascente do Farias which just so happens to have been the largest part of the bird’s habitat. 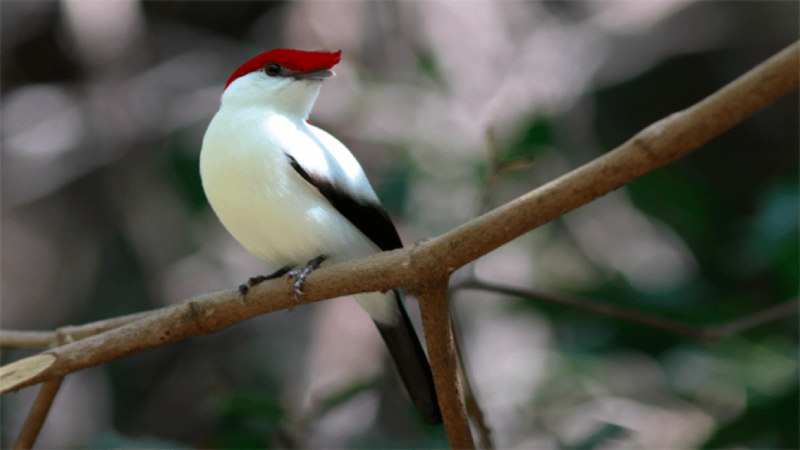 The cleared trees were replaced by banana plantations so the Manakin had nowhere to go. 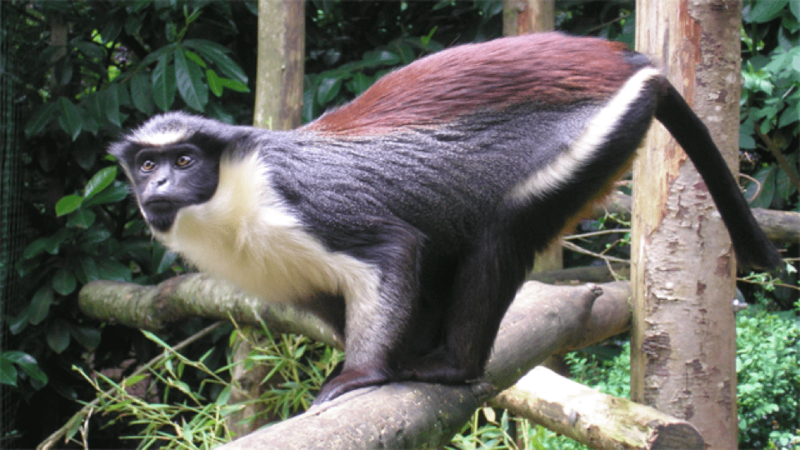 The Roloway Monkey is found mostly in the Ivory Coast and in the forests of Ghana. This species of monkey has been classified as endangered due to habitat loss and the continued hunting for the bushmeat trade. 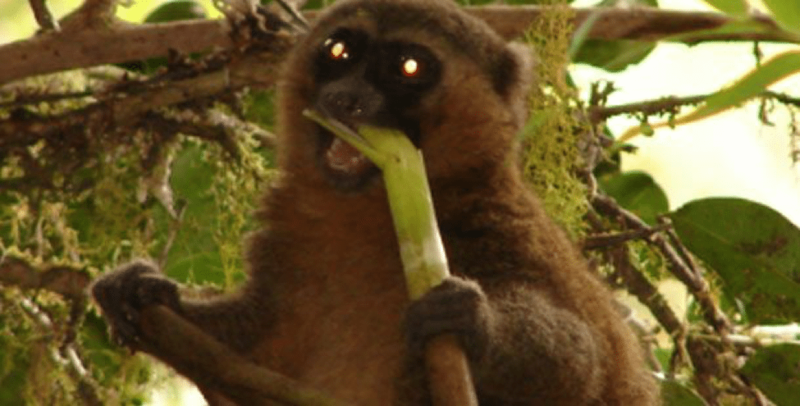 Even though the specific number of Roloway’s left is unknown, it is one of the most threatened primate species on the African continent and indeed the world. 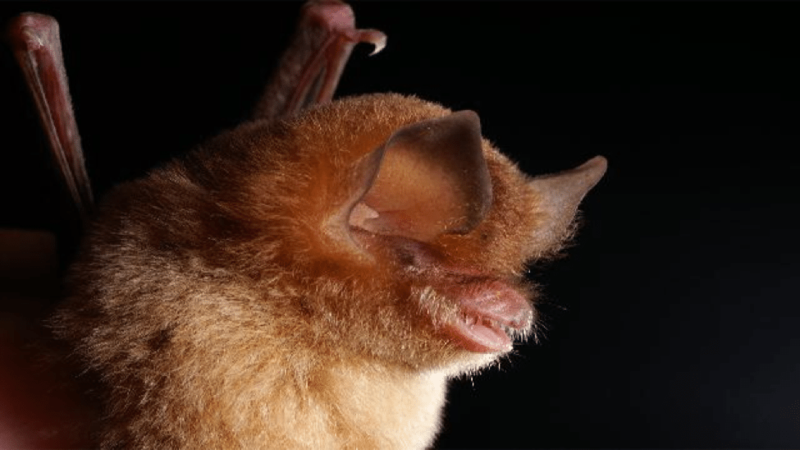 This species of bat is found only in the Isla de la Juventud cave in Cuba. It was originally discovered in 1992 in Cueva La Barca, but it’s estimated that fewer than 100 mature individuals are left alive today. That’s dangerously close to extinction! Is it just me or does this guy look a bit like a Furby? This species is closely related to the brown-tailed mongoose but different enough that scientists gave it it’s own classification in 2010. Another animal confined to the island of Madagascar, this unique-looking marsh dweller’s population has been repeatedly threatened by heavy pollution and the destruction of its natural habitat for the construction of rice fields. 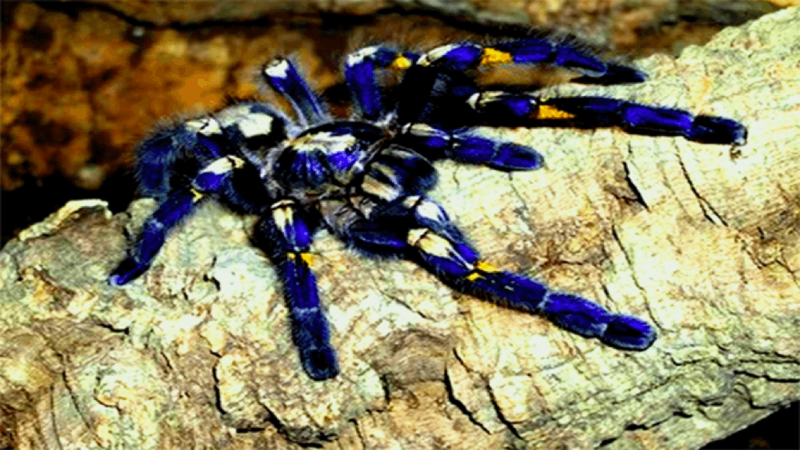 This eight-legged beauty is so named because it was first discovered in the town of Gooty in Andhra Pradesh in India. Ironically, this arachnid – also called the Peacock Tarantula (for obvious reasons) – doesn’t actually live in Gooty; it lives in the Eastern Ghats, about 100km away. It’s on the ‘critically endangered‘ list because of the high demand for timber and deforestation in its natural habitat. Even if you’re not a fan of Spiders, you have to admit this guy’s kind of pretty? 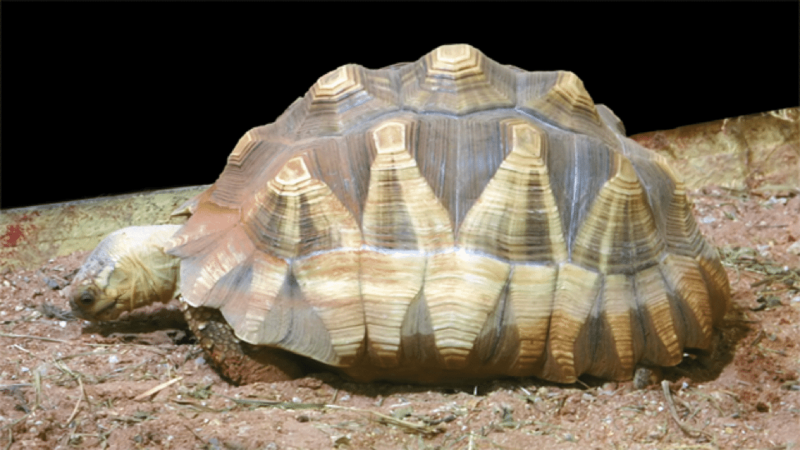 The Angonoka is a critically endangered species of tortoise, native to the island of Madagascar also, with only about 600 individuals alive today. Primary threats are land clearing for cattle and collection for sale as a pet. It has been estimated that this species will become extinct within the next 10 to 15 years. Somebody do something! 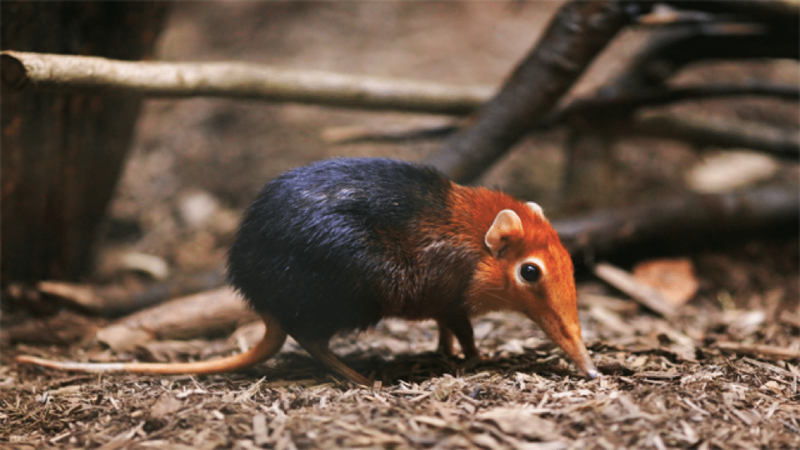 This little guy is also known as the Elephant Shrew and is an insectivorous mammal native to the African continent. Although it is widely distributed across a vast array of countries, it is not found in one specific habitat. It’s incredibly rare nonetheless. Interestingly, this cute little guy is one of the fastest small mammals on the planet. Weighing in at under half a kilogram, they have been recorded to reach speeds of 28.8 km/h… that’s faster than me! This distinctive looking sea-dweller is in the shark family but resembles more of a manta ray, to be honest! 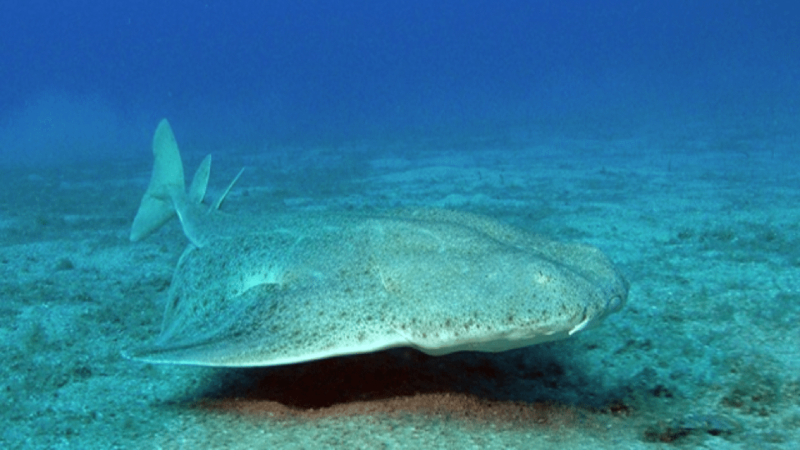 It can mostly be found in the Atlantic Ocean and the Black Sea. Huge amounts of overfishing have been the main cause of the decline of this species, so the chances are you’ll probably never see one. Don’t you just hate people? 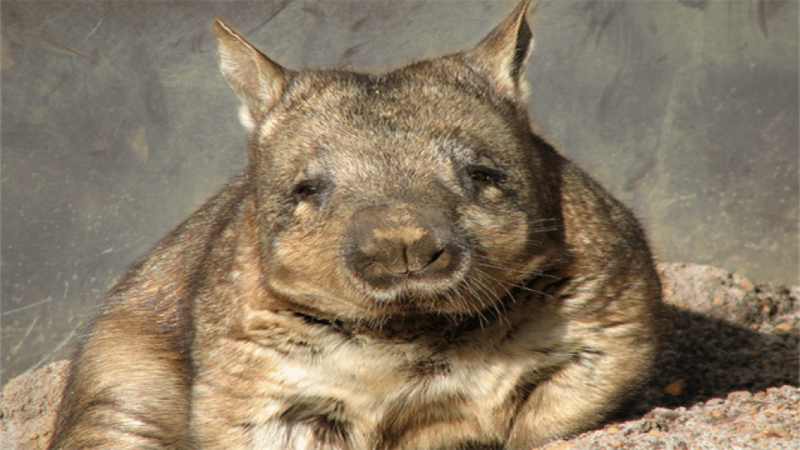 This rather unfortunately named wombat happens to be one of the rarest land mammals in the world. The ‘critically endangered‘ species has historically been found across New South Wales and Queensland (Australia), but those are the days of the past. The cute character is now restricted to the Epping Forest National Park in Queensland. There were only an estimated 230 individuals left in the wild when recorded as recently as 2015. 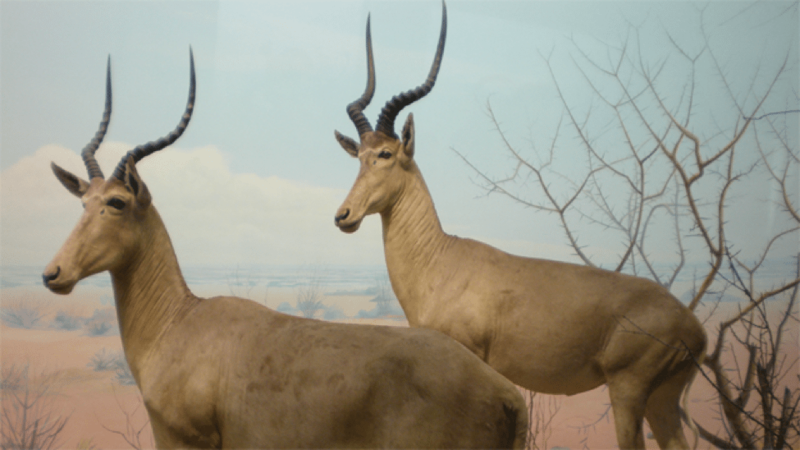 Hirola, also known as Hunter’s Hartebeest or Hunter’s Antelope, lives in the Kenyan and Somalian area of Africa where there is only around 500 left in the wild. Causes for the decline in population range from drought and disease to poaching and competition with domestic livestock, so it seems like they’re really up against it! 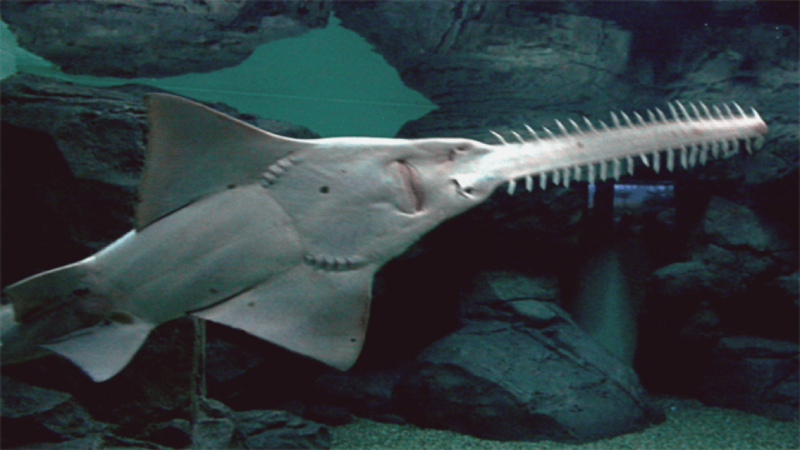 If you haven’t heard the name then don’t worry, it might be one of these instead: wide sawfish, freshwater sawfish, river sawfish…? It’s got a lot of different titles but what it hasn’t got much of is time. The rare creature can be found across the world in tropical and sub-tropical regions as well as delving into freshwater on occasion too. Despite its presence across the globe, numbers are declining rapidly due to overfishing and habitat loss through pollution. Just look at the color of that fur! 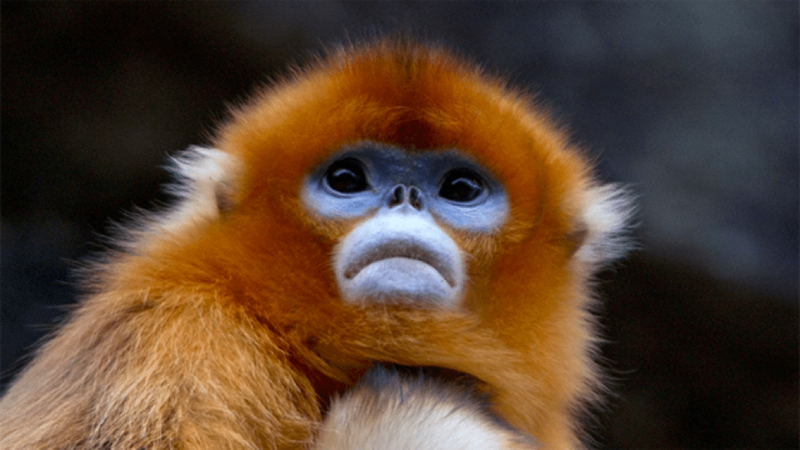 These primates are native to northern Vietnam but face extreme habitat loss and are being hunted more than ever before. In 2008, only 250 Snub-Nosed Monkeys were left in existence and I dread to think what that number is now. This impressive giant has a common problem with other Rhinos… it’s hunted for its horn. Many people in Southeast Asia use them for medicine too. 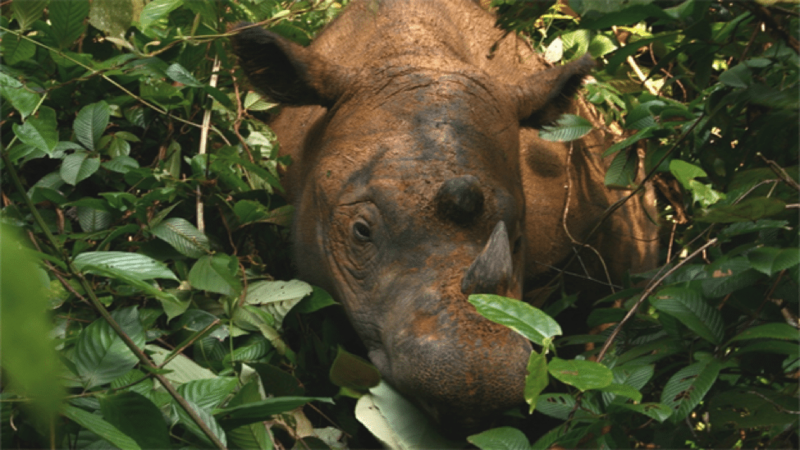 It’s got to the point that the Sumatran Rhino is on the verge of extinction and unless an intervention of monumental effort is made within the next decade, these guys will probably be lost to the wild forever. Fewer than 100 are thought to currently remain! This adorable creature looks as if it’s somewhere in between a cat, a mouse and a gerbil. 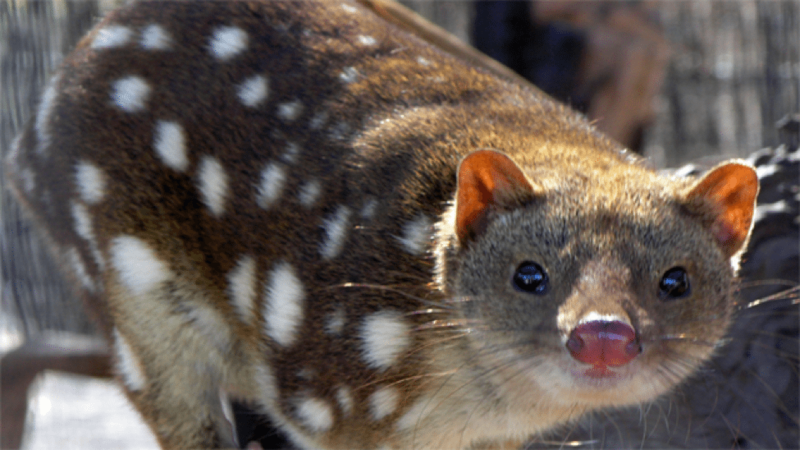 Commonly referred to as the “Spotted Quoll“, it’s a carnivorous marsupial, native to Australia. They’ve become threatened in recent years due to their specific needs for certain types of climates and habitats, which human life is impacting upon, i.e. habitat destruction. They also feature in a lot of motor collisions. Not the sort of animal you want to share a patch of water with, look at those teeth! Found in the slow-moving waters on the Indian Subcontinent, they are unsurprisingly top of the food chain once fully grown. That hasn’t stopped this member of the crocodile family from being hunted by humans for its skin and meat though. 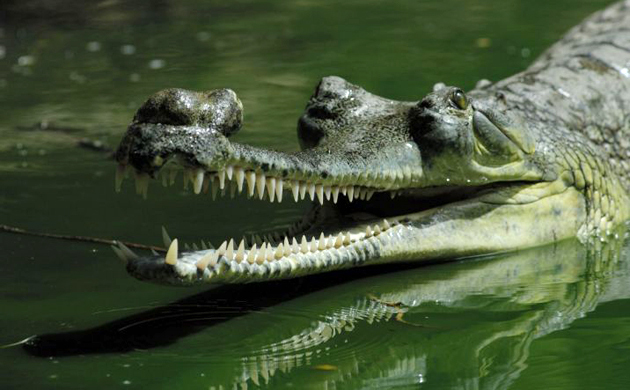 The Gharial is on the ‘critically endangered’ list and is vanishing fast! 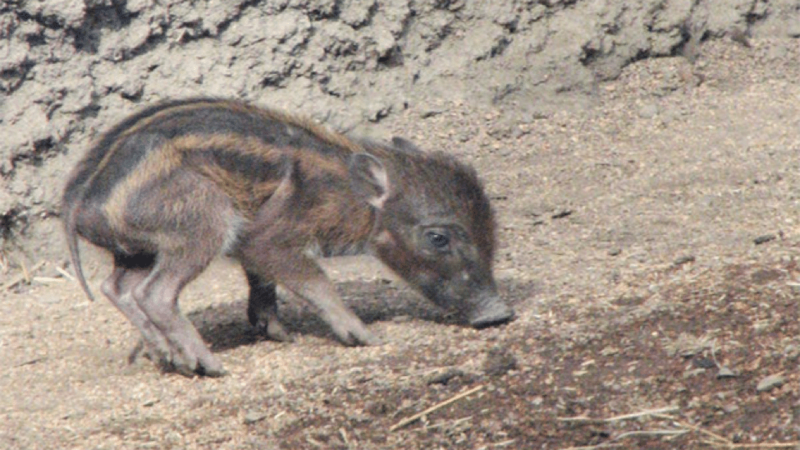 Now put to one side the fact that this is potentially the cutest animal on the list (mind you it’s not quite as adorable when it grows up), the Visayan Warty Pig can be found in the Philippines and is listed as “Critically Endangered“. A combination of habitat loss, food shortages and hunting are the primary reasons for its decline. The elegant Florida Panther is not the first big cat to face the threat of extinction. 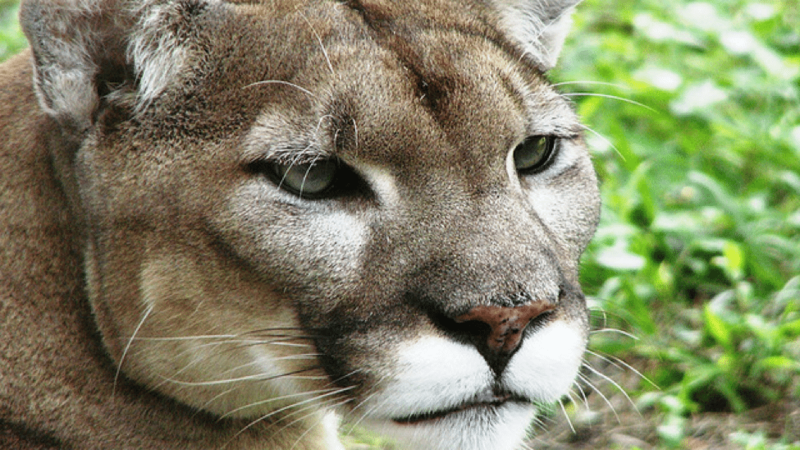 The endangered subspecies of the cougar is native to the forests and swamps of Southern Florida… obviously. Believe it or not, this impressive beast has a natural predator above it in the food chain, the American Alligator. Of course, humans are one of the main threats, reducing this large carnivore to a small patch of the state. Recovery efforts have been made but face difficulties as the Panther requires such a wide-spread area to roam around in. This magnificent rare beast is native to the Timbavati region of South Africa. You might be wondering why they’re white and the reason is that of a recessive gene. 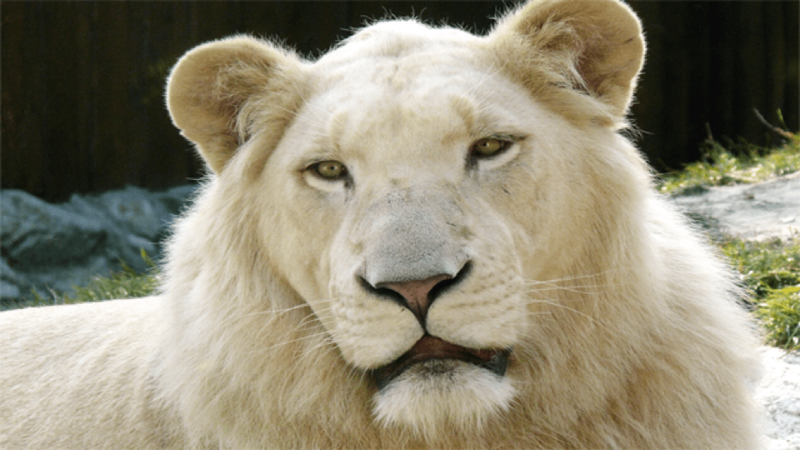 Prior to 2009, it was believed that this particular species of Lion couldn’t survive in the wild because of hunting and South Africa’s bone trade. So the majority are now behind bars in zoos. Very sad! You’d do well to see one of these guys in the wild as they are incredibly difficult to track and live almost completely solitary lives. If you were to try and seek one out, you’d have to travel to the mountain ranges of Central and South Asia. After the population levels started to dramatically decline, numerous agencies began working to conserve the species and its threatened mountain ecosystems. 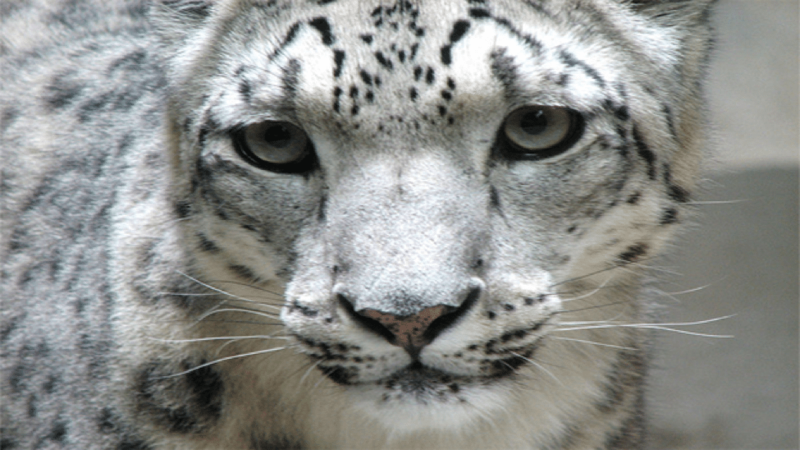 Until 2008, the Snow Leopard was listed as “endangered“, however, it is now only “vulnerable“, showing that conservation efforts are working. A little bit of good news! This is a pretty harrowing one to finish on but as it stands today, every single species and sub-species of Gorilla is listed as “critically endangered“. Mountain Gorillas have been hit the hardest with less than 1000 believed to be left in the wild. The reason? Habitat destruction yet again, poaching for the bushmeat trade and mass-spreading disease and bacteria such as the Ebola Virus. It’s sad to think about, but if something’s not done quickly, we may never see any of these wonderful creatures ever again. What do you make of this list? Let me know in the comments and be sure to like and share with your friends!